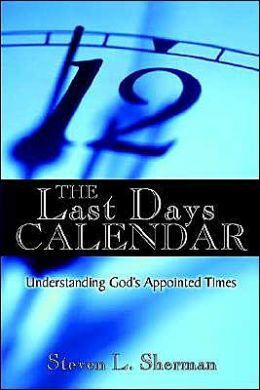 The Last Days Calendar truly interprets end time Bible prophecy concerning the last days within the context of Jewish culture and the Hebrew calendar. Studying Scripture in light of the historical setting and culture in which it was first proclaimed reveals fresh insight into events of the last days, the Book of Revelation, the timing of the Rapture, the identity of the Two Witnesses and the nature of the Millennium. Our web site provides detailed teachings concerning these topics. 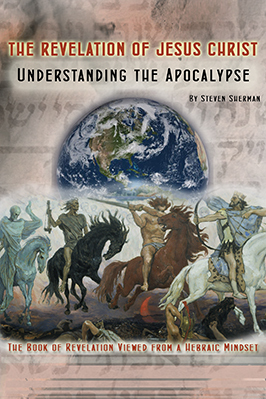 Bible prophecies that concern the events of the last days, including the rapture, are foreshadowed in the Festivals of the LORD. The Festivals of the LORD are the ordained “Appointed Times” of God’s ceremonial calendar for Israel. These seasonal feasts are prophetic pictures of the Messiah. The four spring Festivals of the LORD: Passover, Unleavened Bread, Firstfruits and The Feast of Weeks all take place within the first three months of the Hebrew calendar. The spring cycle of biblical festivals was literally fulfilled by the First Advent: Redemption (the Passover), Sanctification (The Feast of Unleavened Bread), Resurrection (Firstfruits) and the birth of the Church (Pentecost). The first of the fall cycle of the Festivals of the LORD is the Feast of Trumpets. Yom Teruah (the day of shofar blasts) foreshadows the Rapture when God’s elect will be translated in the blinking of an eye and gathered into His presence to be forever with the Lord. The most solemn and holy day for the Jewish people is the Day of Atonement (Yom Kippur), which is the day on the Hebrew calendar when Yeshua (Jesus) will return and rescue God’s chosen people. The final festival of the fall cycle of biblical festival and the final of the seven annual feasts is Sukkoth – The Feast of Tabernacles. This feast foreshadows the wedding supper of the Lamb and the Millennial reign of Christ. To learn more about The Festivals of Yahweh (the LORD) check out the blogs in our “Feasts & Festivals” category. Only the one true God and Creator is omniscient and knows the end from the beginning. Our expository teachings from the book of Genesis are not only historical accounts, but are often prophetic pictures of future events. Each month a new chapter from the book of Genesis will be posted until a verse-by-verse commentary on entire book of Genesis is completed. Over 300 Messianic prophecies found in the Old Testament or Tanakh were fulfilled by Messiah Yeshua (Jesus Christ) & are recorded in the New Testament! Today, over 1.8 billion people profess to be Christians. Tens of millions of these non-Jews are faithful believers. Did the Bible foretell that a Jewish Messiah would be believed upon by the nations? Which Jewish person, from the House of David, made secretly inside a woman’s womb, lived in Galilee and was despised by [most of] Israel, now has worldwide worshippers (from among all the Gentiles who spend their wealth in His name and service) and came to earth to be rejected just before Israel was scattered in 70 AD? His name is Yeshua in Hebrew or Jesus in English. His name means salvation. His title is Maschiach in Hebrew (Messiah), or Christ in English. Both Messiah and Christ (from the Greek – Christos), means the Anointed One. He is the promised anointed prophet, priest, and king. Jesus the Messiah is the Son of God and Savior. Yeshua is the second person of the Godhead or Trinity. Surely Adam did die spiritually in the very day that he disobeyed God. His iniquities separated him from the LORD and the man and the woman were cast out of paradise. Yet, Adam did not die a physical death until he lived 930 years, “and then he died.” (Gen 5:5). Not only did Adam die spiritually in the very day he disobeyed God, but he also died physically within one lifetime (70 years) short of a thousand years (1,000 years – 70 years = 930 years).